Some of the best design ideas in your home can come from DIY projects! There are so many ways to implement DIY into various rooms in your home. 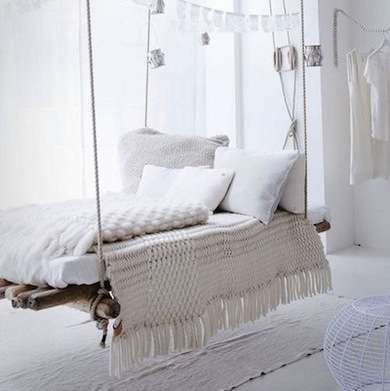 Today we’ll focus on the bedroom with some DIY bed frame ideas. This is almost like a permanent hammock. You can use various items for the base, just make sure you have a professional see how much weight your ceiling can support.